Over / Under 3,5 Goals Betting is a great way for gamblers to place wagers on higher goal totals with longer, potentially lucrative odds. With average market odds on Over 3,5 Goals Betting wins is around 3.30, more than triple your initial wager. For committed players looking to earn a sustainable residual income from match fixtures, Over / Under 3,5 Goal handicaps are a secure way to bet. Wagering on Under 3,5 Goal outcomes is some of the safest, most reliable ways to bet on football, but with safe and short odds, the profits are around only 30% of any original bet. Like other forms of Asian handicap betting, Over / Under 3,5 handicaps, just like Over / Under 1,5 and Over / Under 2,5 are designed to make mismatched football games and foregone play results more interesting. It’s one of the more extreme goal handicaps, offering a relatively safe way to wager when betting under the line, along with over the line betting, requiring 4 goals or more to pocket more lucrative payouts. If you’re not happy with the returns of other half goal handicaps, Over / Under 3,5 Goals Betting is a viable way to land successful bets and bring in a steady sideline. If betting on a match total handicap, typical bets might look something like this: MATCH (Over/Under 3.5) Over: 3.30, Under: 1.30. If a player places a bet of £100 on an Under 3,5 Goals bet, they’ll receive back all their original stake, plus 30% profit as winning if no more than 3 goals are scored by final whistle. A bet of £100 on an Over 3,5 outcome at 3.30 would return £330 (including original bet value). Although not as popular as smaller goal outcomes, Over / Under 3,5 Goals Betting offers much longer odds for better returns. Those in it for the long haul can amount serious winnings from steady stakes on simple win/lose outcomes. Under 3,5 Goals Betting offers some of the shortest odds on football match betting, with average Under odds at most online bookmakers ranging around the 1.2-1.30 mark (around 2/7 in UK odds). Over 3,5 Goals Betting can be much more profitable, but as with all higher goal handicaps, the odds of winning after adjusted final score are much longer. Odds of around 3.30, or around 9/4, can be expected at most leading sports bookmakers and betting sites. The average UK Premiership game results in a total of 2.5 goals, and higher-ranking teams are likely to score less goals overall per match. Over / Under 3.5 Goals offer a more flexible way of betting, with relatively high payouts per goal line (Over 3,5), and a safer, lower risk way to win (Under 3,5). Eliminating a draw outcome as a winning goal line, 3,5 Goal handicaps make the odds even tidier and more transparent for novice betters. Most bookmakers also offer live betting odds, allowing gamblers to adjust their bets further based on in-play performance. Players can cash out at half time, or wait it out until final whistle to settle their bet to the final adjusted goal total. Depending on the bookmakers you’re placing your bet with, you’ll see a variety of different abbreviations and short-hands for Over / Under betting odds. Handicaps will often be abbreviated with a comma or decimal point (‘3,5’, ‘3.5’ etc.) Occasionally, this handicap may be abbreviated as ‘3 1/2’ or ‘four goals to win’ bet. Most bookmakers list all available handicap bets on the market in one place at their odds portal. Over / Under bets might also be abbreviated as ‘O / U’, ‘O/U’ or ‘over/under the goal line’. If playing with Asian Handicaps, a negative goal handicap will be written like this, -3.5, while an advantage will be written with a plus, +3.5. Most online bookmakers use decimal odds for easy conversions. 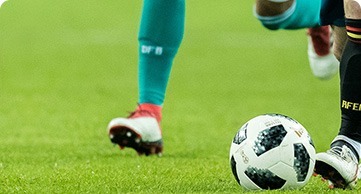 If a regular Under 3,5 Goals bet is offered on a match at 1.30, and the final result is no more than 3 goals, the player wins back their original bet and 30% prize profit (before commission and fees). At most betting sites, you’ll also be given the option to view odds in traditional UK fractions. Whichever side of the 3,5 goal line you choose to bet, it pays to do a little research into the teams playing in any given match. Over 3,5 bets on UK Premiership games offer much longer odds and less chance of a win, meaning it’s not a reliable way to wager long term. For those looking to capitalize on Over 3,5 Goal bets, the best leagues and championships to bet on are European leagues, with proven match statistics and a trend of more goals per match. German Premiership Leagues are the highest scoring in Europe on average, making them a viable option for bets to win, especially when they’re playing on home soil. Under 3,5 Goal Betting has much narrower odds and less potential returns, but the odds of landing a winning bet are in your favour. A 30% return on most Under 3,5 bets is a reasonable average to expect from the UK betting market, although regional leagues and First Division match-ups can shape more lucrative odds. Getting a clear idea of previous performance is key. Goal scoring statistics from both teams previous 3-5 games should be considered, along with the player line-up, pitch conditions etc. Under 3,5 Goal Betting is an ideal choice for cumulative wins. Compared to other popular goal handicap bets, Under 3,5 Goal Betting offers some of the lowest payouts and returns to successful wagers (around 93%). It might take several successful Under 3,5 bets to double an initial wager, but it’s ideal for building up accrued winnings, with safer odds and year-round schedules – ideal for steady betting.